This car is an early version of the Apal coupe 1200. 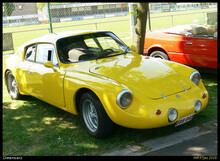 Year 1960--restored for many years and ready since 2005 .Owner -Buyse Roland, Belgium. 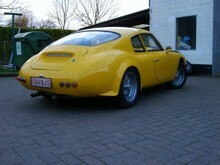 Built on a VW platform and an aircooled VW engine 1200cc. Production started in 1961--only 150 pieces were built. 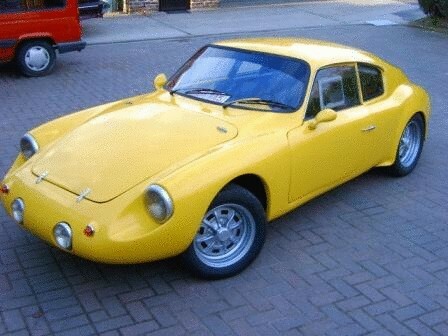 30 p with Porsche 1600 cc engine and 12O p with VW engine. Only a handful left all over the world so a very rare car.